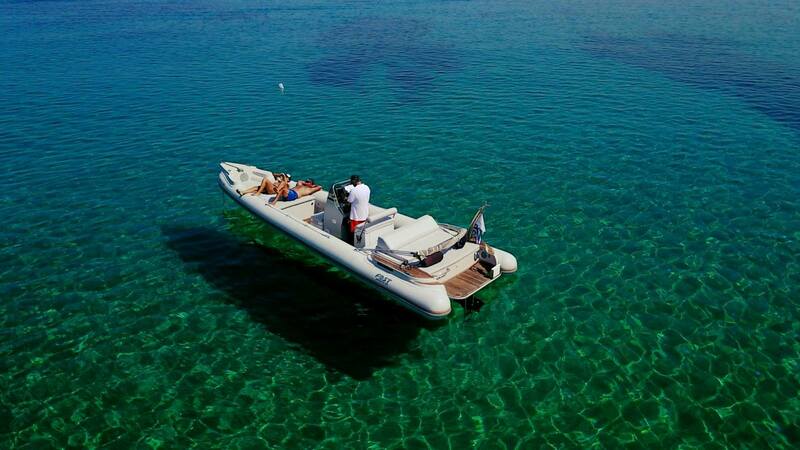 A full day getaway to paradise! 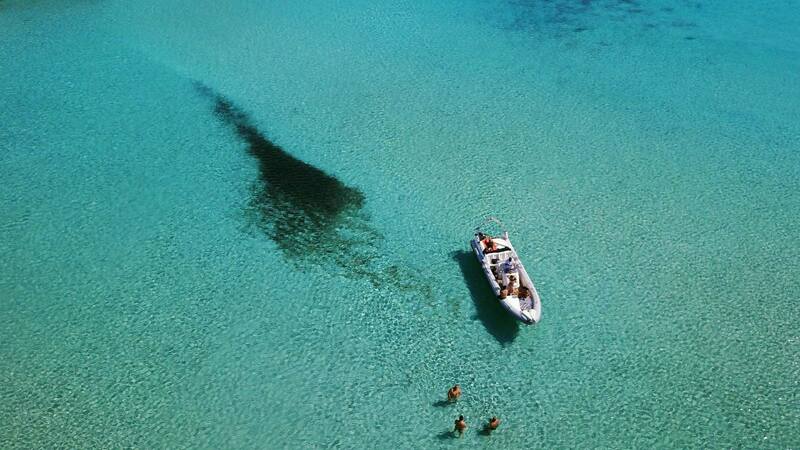 A day-long getaway that will offer you new different images. 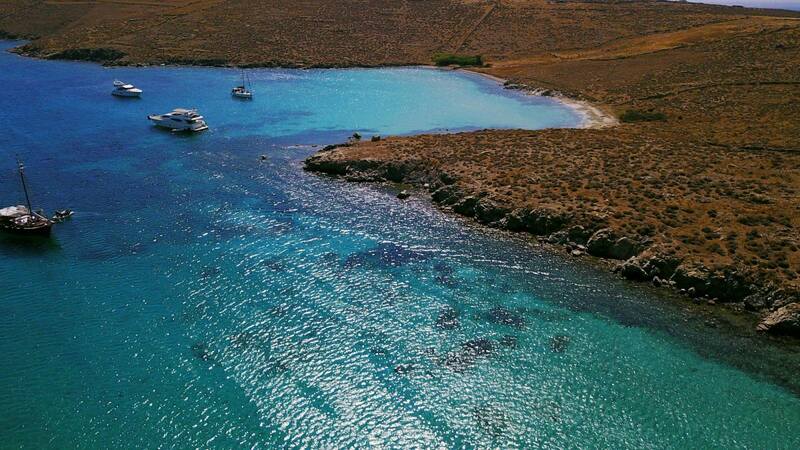 The rocky island of Rhenia is known from antiquity and its history is directly connected with the neighboring ancient Delos. 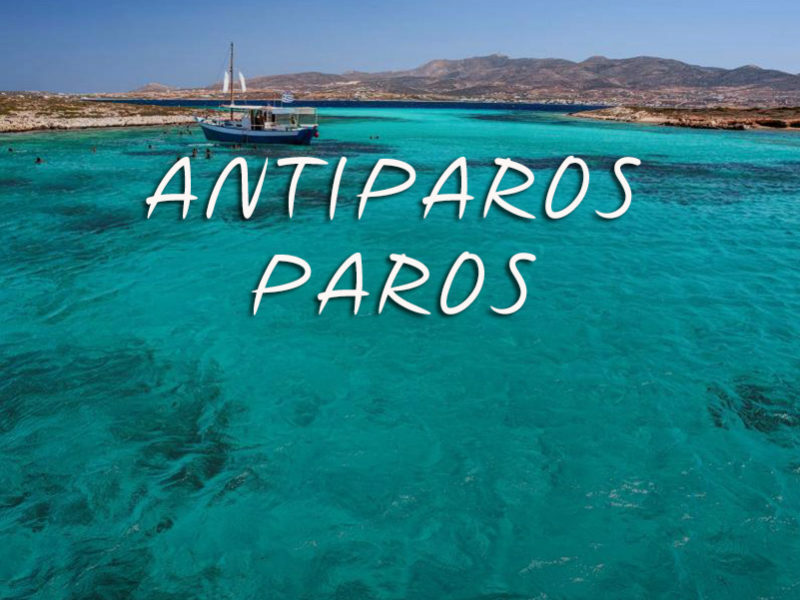 Nowadays it is not inhabited, so it has remained unchanged in time, having unique beaches, which are unforgettable to those who will choose to visit them! 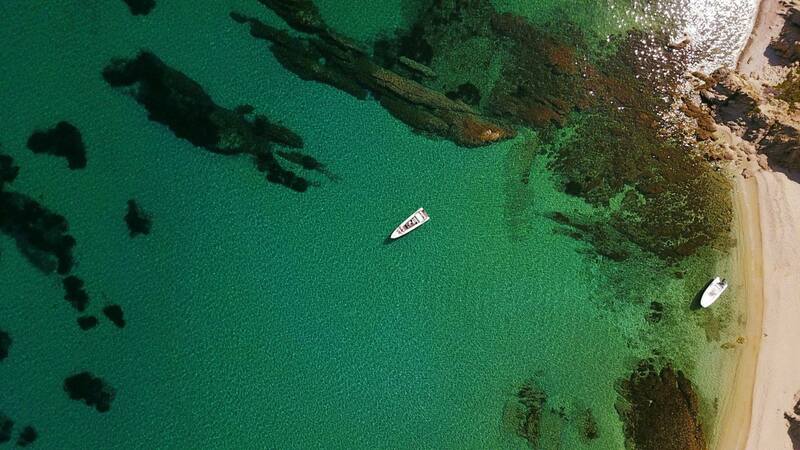 The blue-green waters magnetize you, impressing even the most demanding guests. 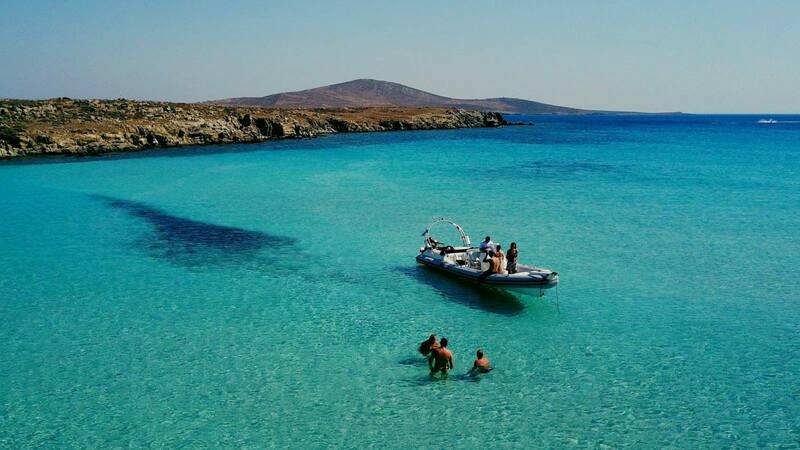 Tinos island, generously offers everything one could ask for a perfect holiday location and natural coves of the harbor beaches, either for relaxation or entertainment. 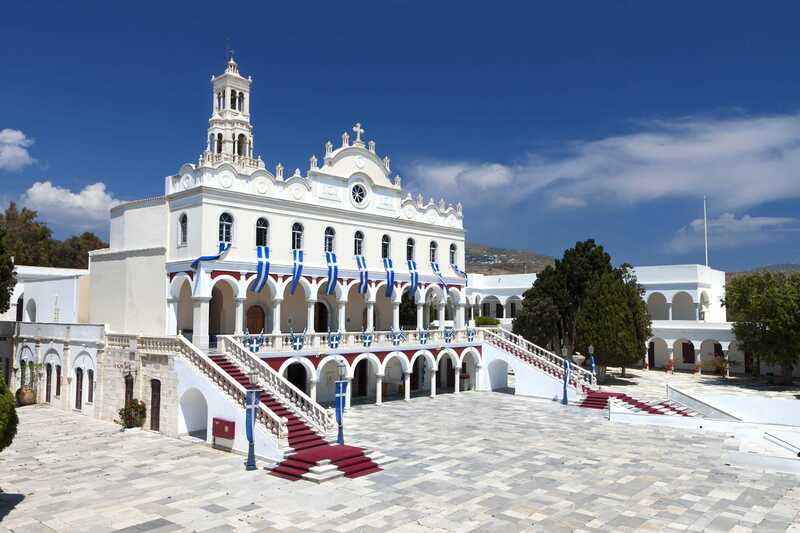 It is famous both for artists inspired by its marble, as well as for religious tourism, due to the imposing church of Virgin Mary. 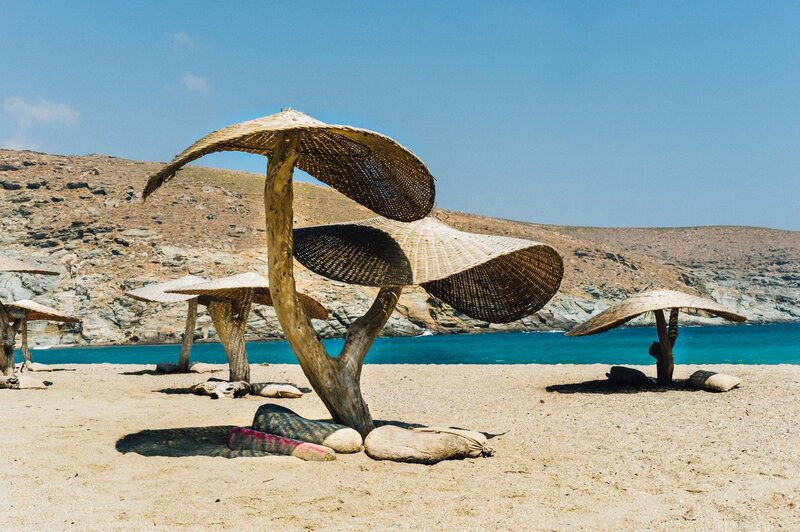 Tinos occupies a special place among the Cycladic islands, making it the attraction for tourists from all over the world. 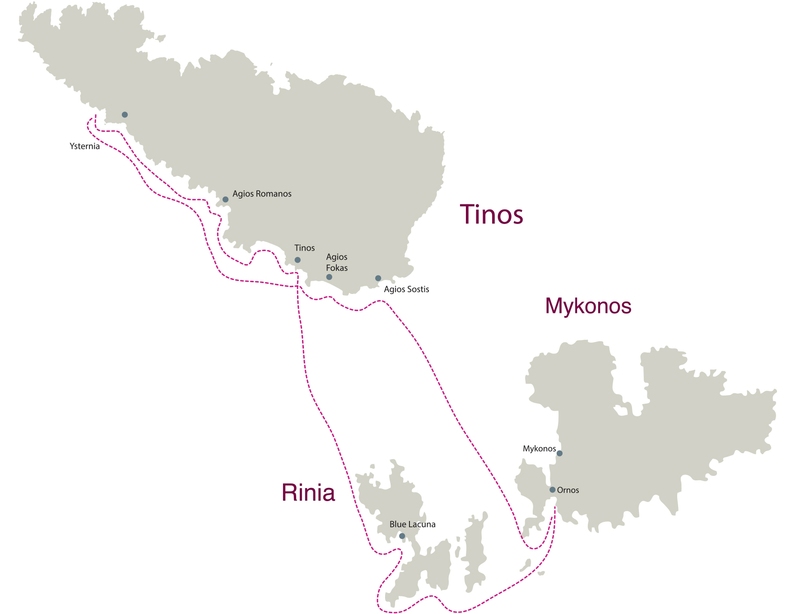 Join us now and explore the history and beauty of Rhenia and Tinos islands from the comfort of your own private boat! 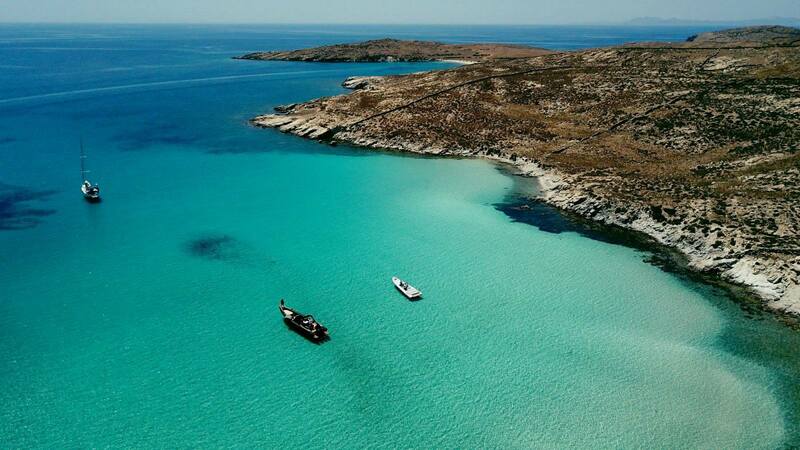 After about 15 minutes, we arrive at the most beautiful beach of Rhenia: Lygia, known to most as "Blue Lacuna". 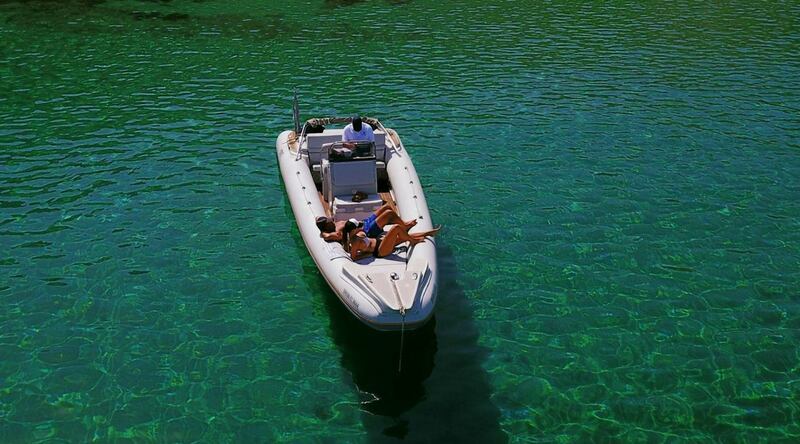 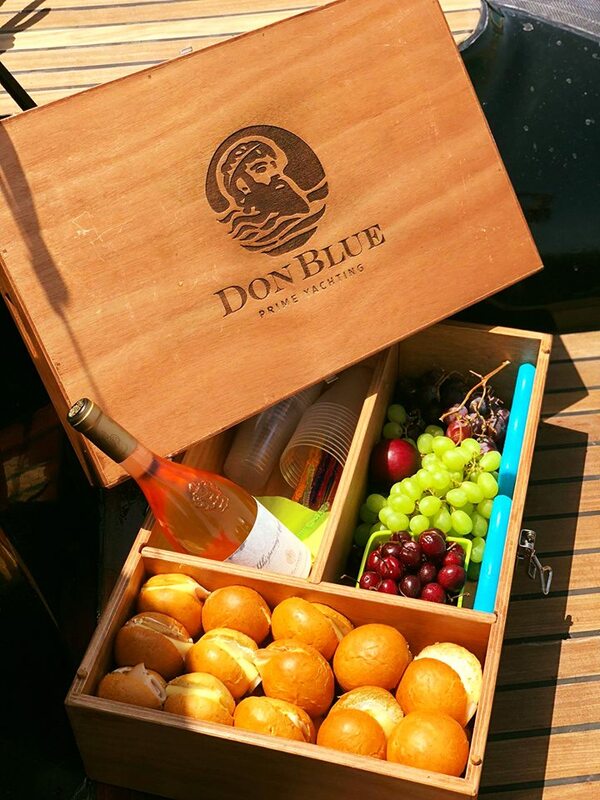 There you will have the time to swim in the crystal clear waters, sunbathe on the nice golden sand, stroll around the coast and enjoy your stay on board with the drink and snack we will offer you. 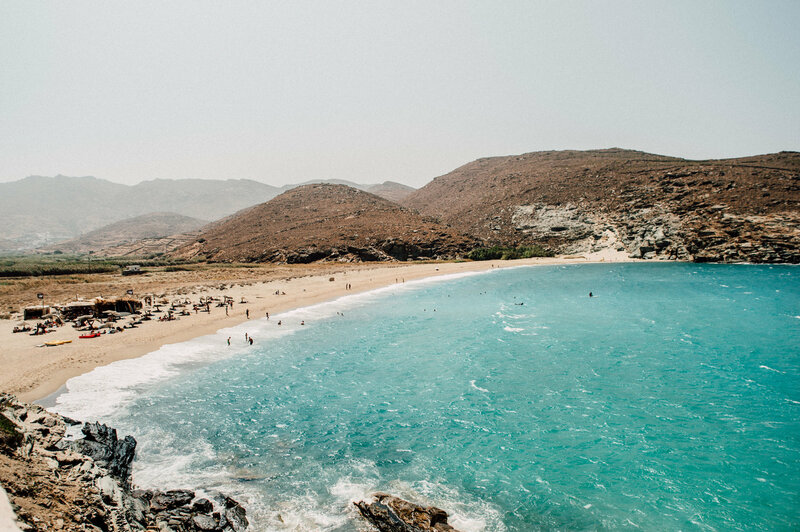 We depart Rhenia for the town of Tinos, where you can take a small tour of its alleys to get to know the traditional Cycladic architecture and visit Panagia of Tinos. 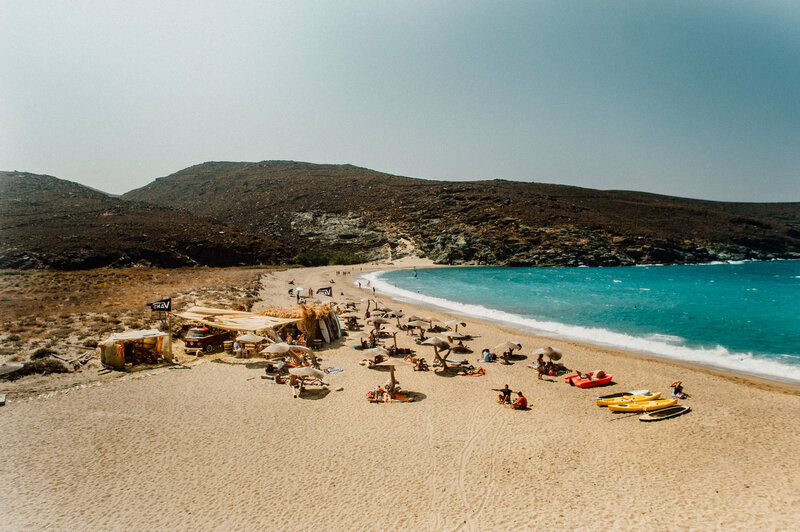 Within walking distance of Chora there are beaches for all tastes. 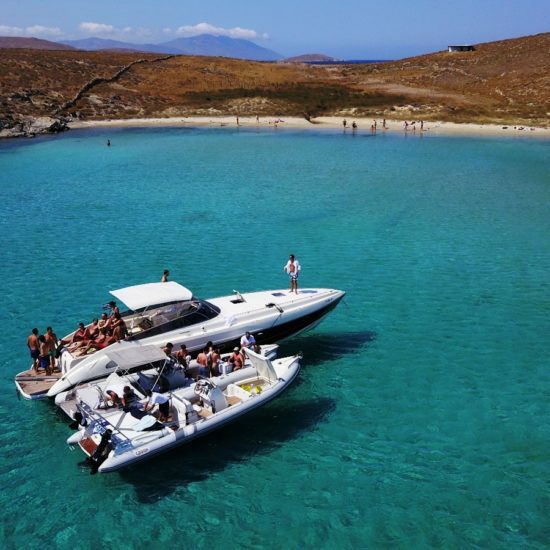 The beaches where the heart of the island's entertainment beats, such as Agios Sostis and Agios Fokas, as well as quiet beaches, such as Apegania and Vathy, which are accessible either by footpaths or by boat. 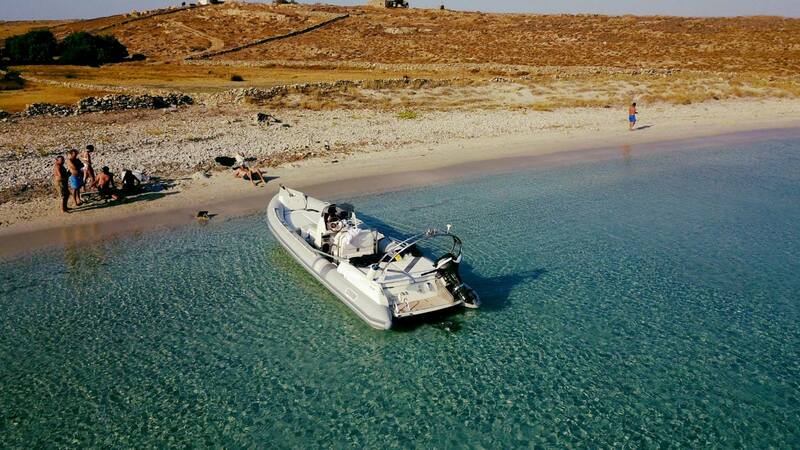 There you can swim in the deep blue waters and enjoy the warm sun either by approaching the sandy beach or just staying on the boat. 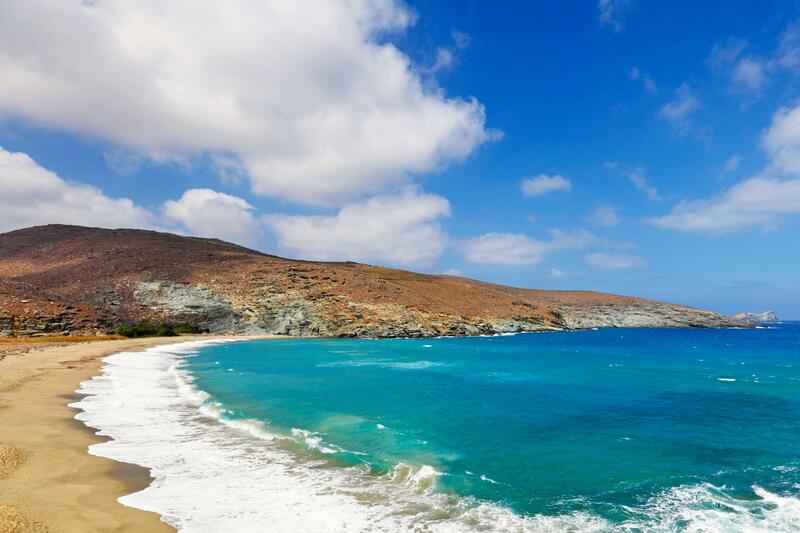 Tinos has plenty of seaside picturesque villages. 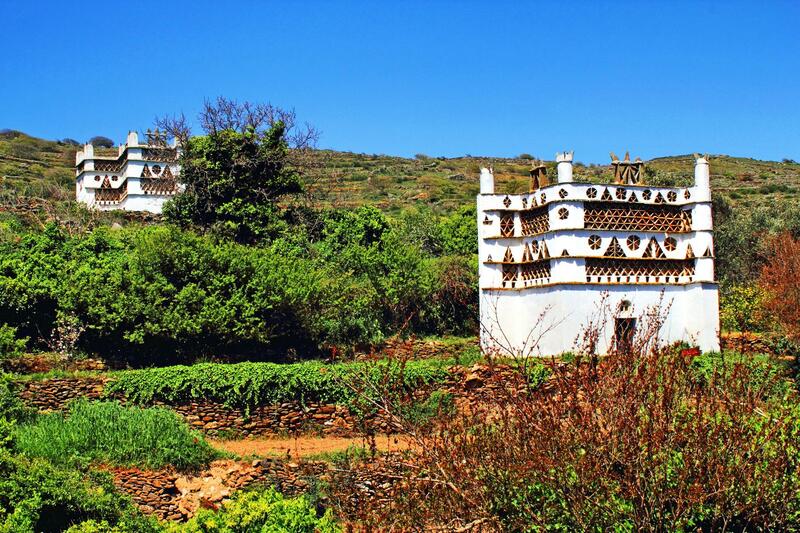 The bay of Ysternia hosts a small settlement that is famous for its small traditional taverns with excellent food for those who want to taste traditional Greek cuisine. 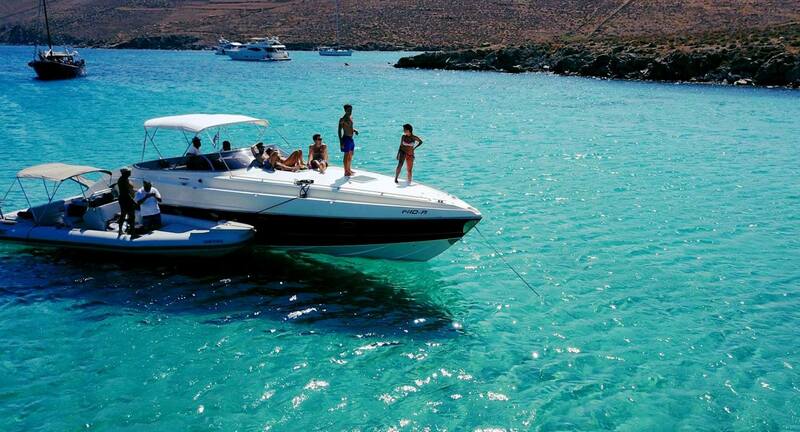 Return to Mykonos, after a full day of fun and special moments!